Longer and warmer days have more teenagers taking to the road than at any other season. 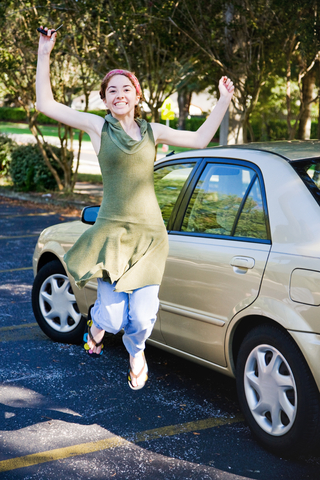 With the increased driving comes an elevated risk of accidents involving teen drivers. Young drivers are more likely to be involved in a crash than people of any other age group. Moreover, two-thirds of the people injured or killed in an automobile accident involving a teenage driver are individuals other than the teen behind the wheel of a car. These are the findings of the AAA Foundation for Traffic Safety, the automobile club’s non-profit charitable educational and research organization. This week, AAA distributed a news release whereby it calls the period between Memorial Day and Labor Day the “100 Deadliest Days” when teen crash fatalities historically climb. AAA noted that teen drivers are on the road more during the summer than at any other time of the year and that everyone, including other drivers, bicyclists and pedestrians, should be aware of their presence. The AAA Foundation examined teen driving data from 1994 to 2013, concentrating on drivers aged 15 to 19. Notably, the foundation found that the overall number of teen crashes has fallen, but the percentages of injuries (67 percent) and deaths (66 percent) involved people other than the teen. Drilling down, the foundation found that approximately 50 percent of all such injuries was for people in another vehicle to just 17 percent of the people in the teen’s car. Furthermore, another 2 percent of the injuries were attributed to pedestrians or bicyclists. When it comes to deaths, 30 percent of the people killed were in another car while 27 percent were riding in the teen’s vehicle. Nearly 10 percent were either pedestrians or bicyclists. The foundation noted that in 2013, the last year that complete statistics are available, 220 teen drivers and passengers died in crashes during the summer months, representing a 43 percent spike over the rest of the year. AAA culls its information from the Fatality Analysis Reporting System (FARS), a federal government statistical database. AAA announced its findings to serve as a reminder to everyone of the inherent risk associated with teen driving in a bid to inform parents as well as to influence policymakers to back legislation to help alleviate the problem. Indeed, AAA has long been behind the push to have the states enact graduated driver licensing laws and improve driver education programs. The foundation believes that the overall reduction in teen crashes can be attributed to such laws and programs. The good news here is that injuries and fatalities for crashes involving teenage drivers had fallen dramatically, over the past 20 years. Specifically, injuries fell by 51 percent and deaths by 56 percent across that timespan. That’s part of an overall trend where injuries and deaths involving all motorists fell by 25 percent and 17 percent respectively. Although the trend is certainly a good one, teens are still more likely to die in a crash than for homicide, suicide, cancer and heart disease. Approximately one-third of teenage deaths are a result of motor vehicle accidents, according to the Centers for Disease Control and Prevention. To help parents coach their children in safe driving practices, AAA has established a parent-teen driving agreement as part of its overall teen learning-to-drive initiative. The AAA’s StartSmart program is also useful in educating parents on how best to coach young drivers.